If you’re looking for a work from home customer service position, Concentrix may be a good job for you to check out. Concentrix is truly a multi-national company – they have more than 45,000 employees in more than 25 countries around the world. This post will provide more information on Concentrix offers, including what you’ll be doing, and the requirements for the position. What do customer service reps at Concentrix do? 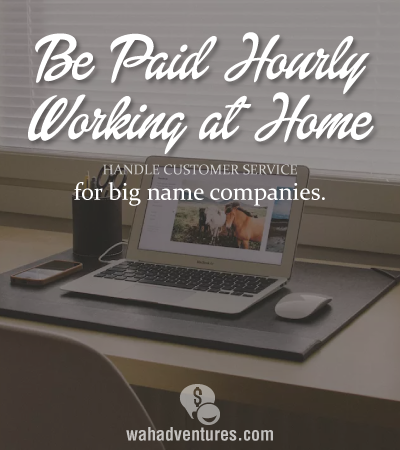 The Work at home Customer Service Representative responsibilities include supporting day-to-day operations of Concentrix clients via phone, email or web channels. Concentrix works with many top household named companies. What are the requirements to work at Concentrix? Exceptional communication and verbal skills. Strong soft skills – you need to be able to work as part of a team, communicate with others well, be flexible and be patient. Must be able to work independently and in a team setting. Able to easily build rapport with customers. Ability and desire to excel in a fast-paced work environment. Able to work evenings and weekends. You need to be a people person who enjoys talking to and assisting others – you need to be able to give others the type of customer service you would like to receive. You need to be comfortable working in multiple applications at the same time. What are the technical requirements for this position? You need to have high speed internet service with a minimum of 5 mbps download and 3 mbps upload speed – this will be tested as part of the application process. Your monitor needs to be at least 17 inches wide and capable of 1024 x 768 resolution – flat panel monitors are highly recommended. You need to have a landline telephone for your training and production calls, and a headset will be required before you start working – the headset is not needed as part of the application process however, so don’t purchase one before a job offer is extended to you. Pay at Concentrix for the work from home customer support position begins at $9-$9.50 per hour. Concentrix hires on an Employee basis and offers benefits to qualifying employees. Some benefits include Pension plans, Holiday Pay, Flexible scheduling and Paid Training. Schedules vary and will be discussed during the interview. However, it is said that the scheduling is flexible at Concentrix. For example, one applicant was given her choice of 3 different clients to work for. Each client had different scheduling requirements, some more flexible than others. This gives you the ability to find something that will fit your needs. However, this was one applicants experience and may not be the case for everyone. Others have reported that after applying they were called out-of-the-blue for a phone assessment. Don’t be afraid to let tell the Concentrix agent that you are busy and need a call back. But be forewarned in case you receive an unexpected call. Also, depending on the client, there may be a credit/background check. You can see what over 140 past and present employees of Concentrix say at Glassdoor. How do I apply with Concentrix? This is for Kim or Charlene Scott—I got disconnected. Please need to reschedule.